On March 21, 2019, It was held The Women Influence Community -Forum in México City. Yanina Dubeykovskaya, CEO and Founder of WWICF mentioned that the project started two years ago when women from Russia, the United States, France, Germany, India, Switzerland, the United Kingdom, Kenya, Turkey, Luxembourg, Belgium, Australia, China, Nigeria, and Bulgaria, they met at the legendary hotel Ritz in Paris to share unique stories and powerful ways to influence the world. As a current global project, the initiative aims to unite businesswomen, thought leaders such as citizens, mothers, artists, muses, professionals and entrepreneurs. Inspired by women who throughout history have shown us their leadership as Coco Chanel, Indira Gandhi, Nancy Matthews, Yoko Ono, Luise Mack, and Frida Kahlo among others. 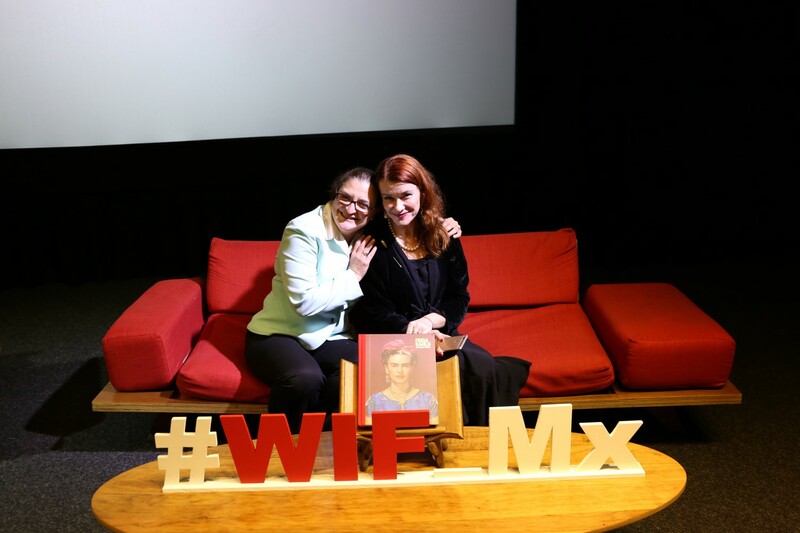 The event took place in Mexico for the first time, thanks to the coordination of Lorena Carreño, General Director of Marketing Q Strategies & Communications and President of WWICF Mexico. In these first months of the year 2019, the event was already held in cities such as St. Petersburg and Moscow in Russia, Mexico city and the next week will be held in Paris, France and in April in China. Our editor Lizet Esquivel, had the opportunity to talk to the organizers of the forum. Yanina, what´s the purpose of the Women’s Influence Community- Forum ( WIC-F)? We have our 5 principles of and 6 ways of women influence, which need better recognition and empowering in a personal level, in each women self-understanding, and on a global level, as a more balanced gender agenda, not only "catching up" men's role models. We see WI, as a great resource of positive changes on company, communities, national and global level. And we believe that our work in a frame of WIF will help to improve this strategic peaceful and inclusive potential. You say that you recognize six main ways women influence the world: as an Entrepreneur, a Mother, a Professional, a Citizen, a Creator, and a Muse, can you elaborate this idea? Our events help to understand that there are wider opportunities to influence. That you can make better present and future throw values implementation in a different way and different level. We show new role models, we inspire women because we believe that each woman can make impact to social improvement. We hope that WIF can work on different levels of WI recognition, personal, community, company and national level. How this event can help women recognize their power to influence in a better, more humanitarian future? I am absolutely amazed by Mexican women, with huge humanitarian and intellectual potential. We have a very professional and reliable partner in Mexico, Lorena Carreno. I feel that WIF/Mexico can help to create a new understanding of WI and establish community, which can work for every woman and as a social lobbyist for real changes in gender agenda in s country and region. We are trying to support some very concrete steps of empowering women, for example, quotes for women in corporate governance and better paid longer maternity leave. We are trying to change social stereotypes about women role and potential. 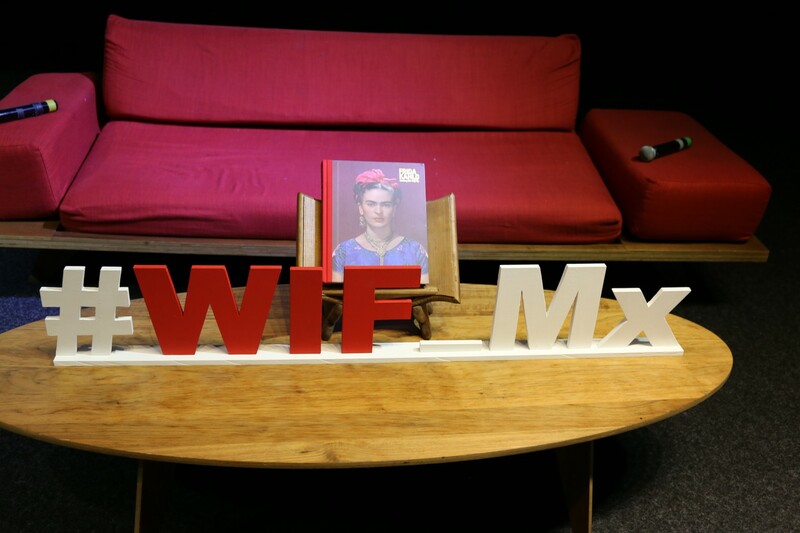 So, we have a lot of expectation about WIF in Mexico and LA, where we'd been well educated and mission charged. We can bring real changes here. You have organized the WIC-F in different cities in Europe, now you are in Mexico-a Latin American country with Fewer opportunities for women in all aspects. What was your expectation of doing it here? I hope we can do more international events with Lorena Carreño, invite women, international leaders, including the neighbor's countries. I hope Mexican women can join our other events in different countries and in Paris, where we go to the most international edition. Finally, we will create a powerful international brotherhood and make positive changes in different fields. I see a huge potential here! Realize it in more cities and increase the community of women of influence more and more. Lorena, you are a very successful PR and entrepreneur in Mexico, why did you decide to organize with Yanina, The Women’s Influence Community- Forum? Because it gives me the opportunity to show our leadership as Mexican women, the intellectual capacity that we have and the way to inspire other women around the world. You were in charge of the content which was very interesting: Women in science, art, education, female talent in organizations,human rights, etc after all info the speakers shared, what are your conclusions about the current situation of women? All the participants have an excellent status. They are leaders in their areas of influence in a very ambitious program and the audience was wonderful. We had been inspired by the stories of great women in Mexico’s history and now they are contemporary women who are inspiring us to achieve that empowerment. My conclusion is that we have reached many spaces but still, there is a lot to do and to learn. A global network is very interesting to share knowledge so we are working together with Yana in the construction of it.